A dark and searing novel tracing a woman's struggle to survive in a world without good options. From twice National Book Award–nominated Rachel Kushner, whose Flamethrowers was called “the best, most brazen, most interesting book of the year” (Kathryn Schulz, New York magazine), comes a spectacularly compelling, heart-stopping novel about a life gone off the rails in contemporary America. "A disturbing and atmospheric book...Ms Kushner makes the prison, and the world beyond its walls, vivid." “Superb and gritty… Kushner has an exceptional ability to be in the heads of her character." "A powerful undertow pulls the reader through the book. I didn’t consume it so much as it consumed me, bite by bite..."
"Kushner's characters are so authentic and vividly drawn that with each new novel, it’s easy to assume she’s tapped out. Yet in The Mars Room, she brings to life another remarkable heroine." 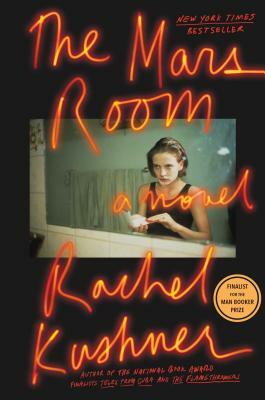 “Rachel Kushner cements her place as the most vital and interesting American novelist working today...The Mars Room makes most other contemporary fiction seem timid and predictable." “Readers will savor every detail of Ms. Kushner’s descriptive passages, which bring ferocious beauty to even the ugliest surroundings." “Kushner, an acclaimed writer of exhilarating skills, has created a seductive narrator of tigerish intensity… This is a gorgeously eviscerating novel of incarceration writ large." “A searing look at life on the margins…This is, fundamentally, a novel about poverty and how our structures of power do not work for the poor, and Kushner does not flinch…gripping."